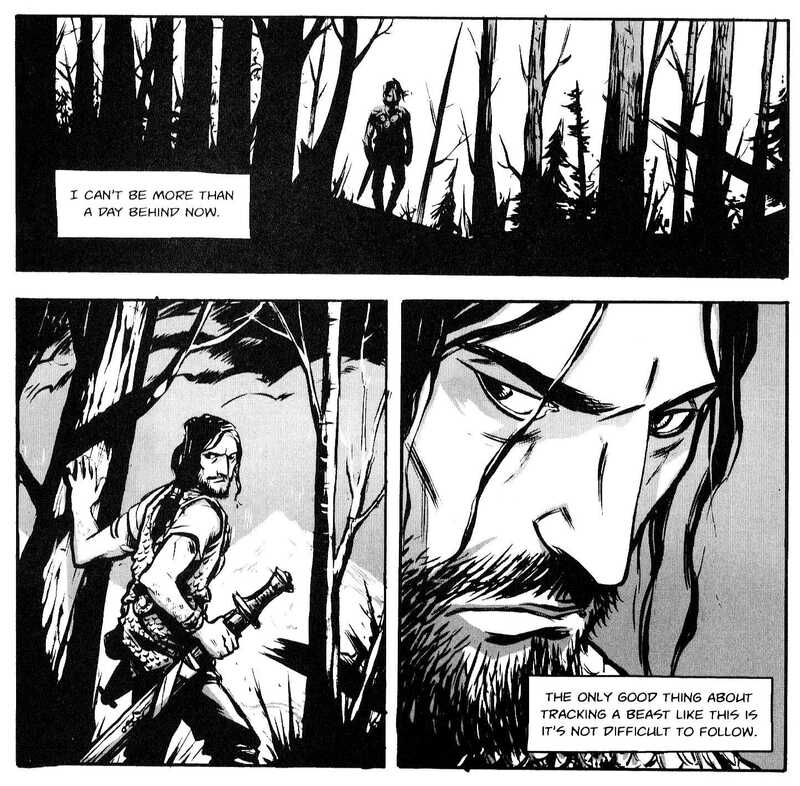 Wolves by Becky Cloonan may well be the best comic I have read all year. Cloonan is tearing up the sequential narrative world right now. Her tagline is "Comics Rule Everything," and she seems to really mean it. Her work on Vertigo Comics’ American Virgin with Steven T. Seagle was what first brought her to my attention, but it was her work on Demo with Brian Wood that really made me wide-eyed with admiration of her as an artist. She is an amazing talent, and the rest of the comic world has finally catching up to her. She’s teaming up with Tony Lee to produce a MacGyver series for Image Comics, and she’s putting her touch on Marvel’s Doctor Doom, working with Nick Spencer on a four-issue series Victor Von Doom featuring a teenaged Doom. 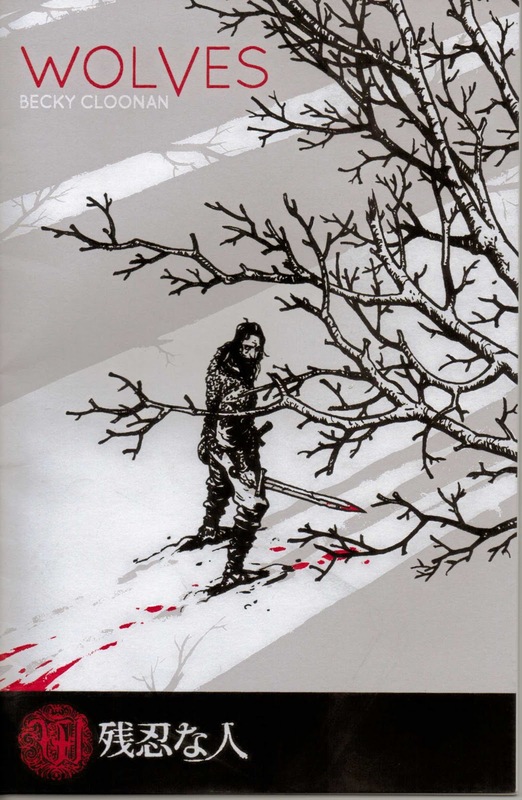 Wolves is Cloonan’s self-published comic. The book contains approximately 300 words in about 80 panels of beautiful black and white art which span 24 pages. 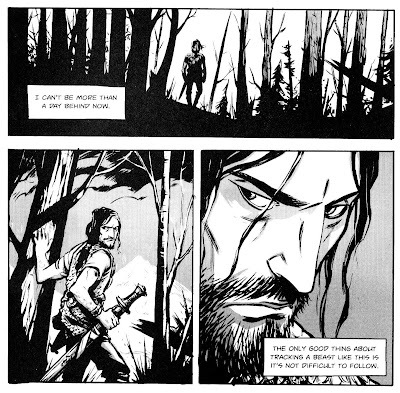 Within the confines of these limitations, though, Becky Cloonan is able to tell a complete story full of all the depth and emotion of a book 20 times its size. To do this, Cloonan not only relies on her always captivating and expressive art, but she also relies on the intelligence of her readers. Most of the story is told through inference, and Cloonan trusts that her skills as a storyteller reveal just enough information for her audience to unfold the expansive story within -- and she does so masterfully. There is a novel in these 24 pages, and Cloonan respects her readers enough to let them fill in all the blanks. Cloonan’s manipulation of time in the narrative, combined with the emotive quality of her art, gives the reader all they need to pull out its entirety. This comic is a lesson in brevity, a primer in the old writing adage, "sometimes less is more." Wolves is a difficult story to tell, full of love, betrayal and survival. Set in an ancient past full of swords, armor, magic, and beards, it rivals the best fantasy stories out there. Cloonan’s layout and pacing in this comic are top-notch, and I found myself lost in the world she created. And of course, there is the art. Cloonan’s heavy lines work perfectly to create atmosphere, tone, and emotion. Every nuance is rendered perfectly in her characters’ faces, as if she had been studying the work of great actors and pinpointing the expression that completely captured the thought or emotion she was seeking. Cloonan can also bring the horror, and her depiction of saliva dripping fangs in this book is a week’s worth of nightmare fuel. In the 24 pages of Wolves, Becky Cloonan is able to do what some of the best comic book creators struggle with over a seven-issue story arc. This will be a book you read again and again, put aside for a time being, and then be drawn to once more. Wolves is available for purchase at Becky Cloonan’s website.